Smart Energy Grid - A Wise Choice for America's Future? Is a Smart Energy Grid a Wise Choice for America's Future? There are some energy analysts out there who think that implementing a smart grid in the U.S. and other industrialized nations could be smartest move we've made since the "electrification" of the United States back in the late 19th Century. What is a smart grid? It is nothing less than a radical modernization of America's 60s and 70s-era electrical power infrastructure through the integration of all 14,000 transmission substations, all 4,500 large distribution substations and all 3,000 public and private utility owners into one big network works cooperatively and operates at a vastly improved level of efficiency. Or as the Foundation Capital website explained it in 2009: "A true smart grid enables multiple applications to operate over a shared, interoperable network, similar in concept to the way the Internet works today." Is a Smart Grid Attainable in the U.S. While this will assuredly be expensive to implement, a smart grid is easily within our reach. An integrated smart energy grid would use a variety of technologies including networks of wireless sensors, special energy-use monitoring software, and high-speed computers to facilitate utilities all over the country in gauging how much energy is being consumed in various regions at different times. 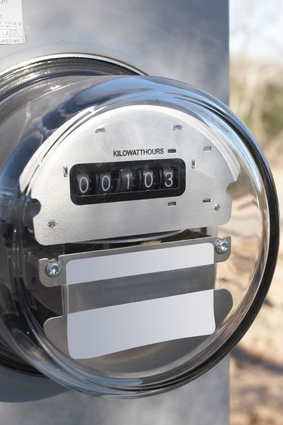 If consumers have had two-way connected smart electric meters installed in their homes, this will allow them to judge their electricity usage on a minute-by-minute basis and adjust their power usage accordingly. The use of smart meters will also enable utilities to employ real-time pricing to help regulate the load on their portion of the grid as part of an overall national energy strategy. President Obama called for the installation of 40 million smart meters, but since this would cost approximately four billion dollars to implement, progress has been slow. There are also privacy concerns from some consumers about having their energy usage monitored so closely by utilities. A sophisticated smart meter can, for instance, tell the utility when an electric garage door opener is being used, which has the potential for tracking any citizen's movements. If the wireless signals from smart meters can be hacked, criminals could theoretically monitor a homeowner's comings and goings and rob a home at a time when no one is there. Smart meter data could also be used to facilitate identity theft, conduct overt surveillance of anyone who has a smart meter on their home, the revelation of personal activities through tracking patterns of energy usage, and the accidental/deliberate release of personal information. Fortunately, there are rules in place for the collection and use of smart meter data, but at a time when business and government seem to be collecting more and more information about the activities of private citizens, privacy concerns have led some consumers to have strong reservations about having one of these devices installed on their home. Still, if these concerns can be reasonably addressed by utilities, there is a great potential both for saving energy on the national level and for avoiding power outages due to weather, equipment failure, or deliberate vandalism by copper thieves. Because of the privacy issues and the expense of installing smart meters, there are only 9 million smart meters in use all over the U.S., which is a far cry from what the president called for. However, despite any reservations that individual consumers might have, implementing a smart grid all over the U.S. makes sense for a number of reasons. Have a smart grid in place would make the grid more reliable and survivable in the event of emergencies. Regional blackouts due to weather or vandalism could be either eliminated entirely, or greatly reduced. This would be of great economic benefit to the entire country. Did you know that power outages and power interruptions cost the U.S. economy $80 billion annually? Another benefit to consider is reducing the price of electricity to consumers. With a smart grid system, utilities could implement real-time pricing, basing the cost of electricity on the amount of demand on the grid at any given moment. With this knowledge, consumers could adjust their electricity usage to avoid times of peak demand, for instance, running their dryers or other appliances at night or other times when demand is low. Finally, a smart grid is needed because of the increasing demands for electricity due to population growth and the flood of gadgets people use that are powered by electricity. An article on the Foundation Capital website noted this sobering fact: "The world consumes 14 terawatts of energy every day. In another 50 years (2064), we're going to need 28 terawatts. Where are we going to find another 14? We would have to turn on a new 1,000 megawatt power plant tomorrow, another the next day, and on and on, one a day for the next 40 years to get another 14 terawatts." So, absent this astonishing growth in our power-generation system, the human race will need to implement smart grids all over the world to better manage the power we can generate as well as adding renewable power from sources such as solar, wind, geothermal, hydro-power, biomass, and greater efforts at conservation through more efficient appliances, power transmission lines, LED lighting, and so far. The changes will mostly likely be incremental, but are necessary to prevent massive power outages in the coming decades.